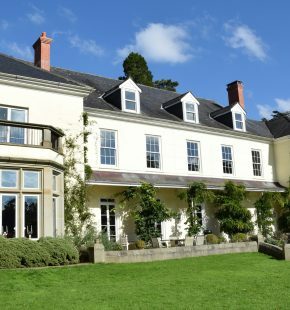 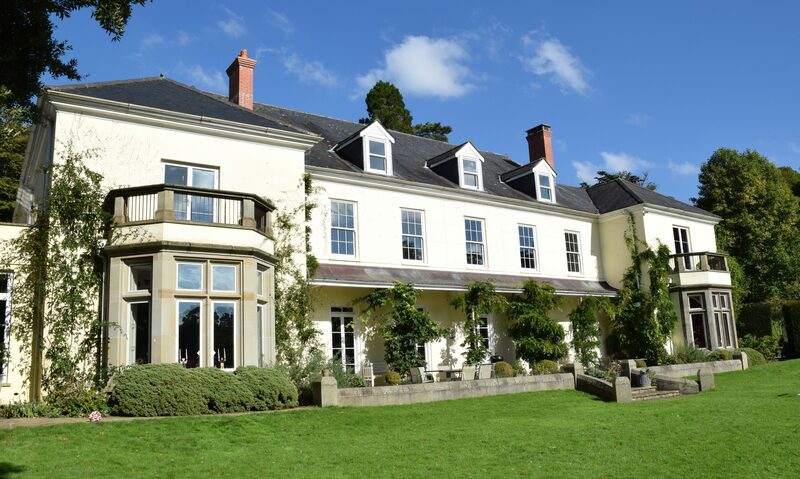 This rather grand Victorian house is the home to one of the oldest shoots on Exmoor and the location is just beautiful – set in the Exmoor countryside with steeply graded parkland littered with wandering pheasants. 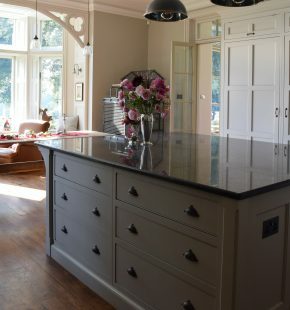 The shoot catering is cared for in refurbished barns but there is still plenty of entertaining that happens in this kitchen. 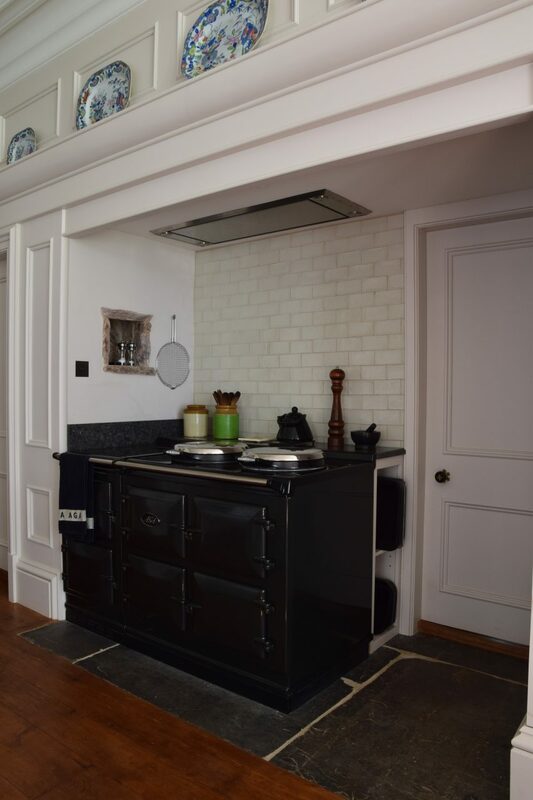 Nick initially did a design for this kitchen a long time before the builders had the space ready for fit as is usual with our projects, then to our suprise only a few months before the fit and a couple of weeks before commencing the making of the kitchen the builders found a huge space within the fireplace where the AGA now sits, this meant a complete redesign of the kitchen but it did mean that the lovely window that is behind the main sink could stay and the AGA was moved into the fireplace as the space was now deep enough to take it. 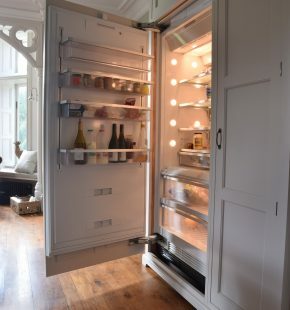 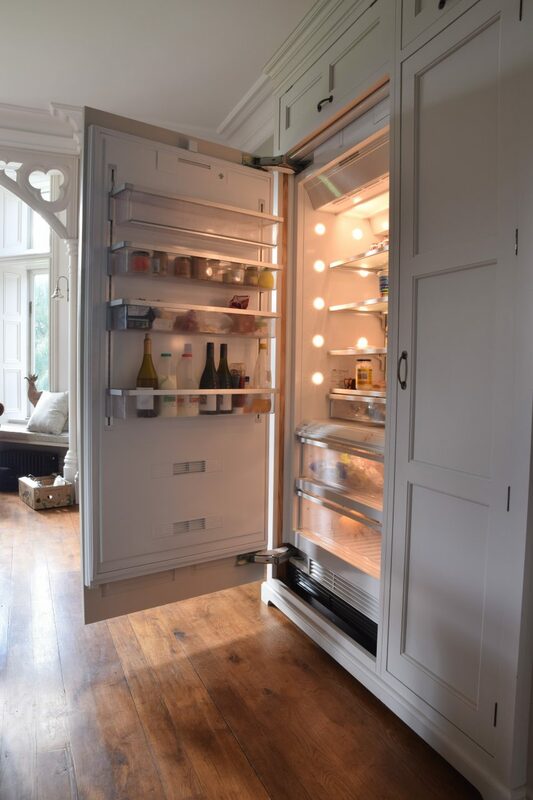 The Mastercool fridge/freezer is a new addition to our appliances and has a huge capacity, so a real bonus for those who do a lot of entertaining. 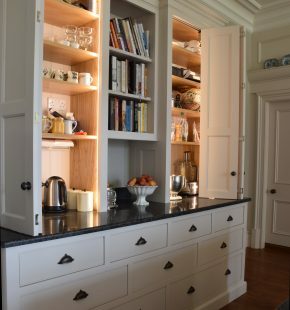 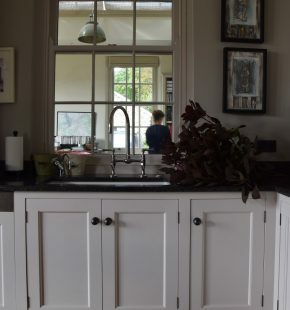 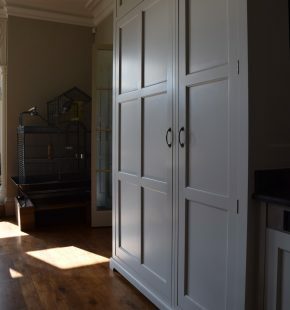 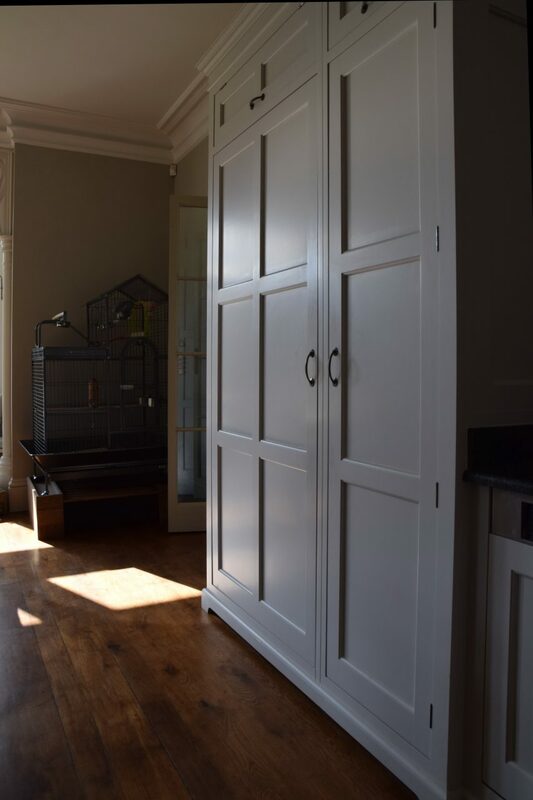 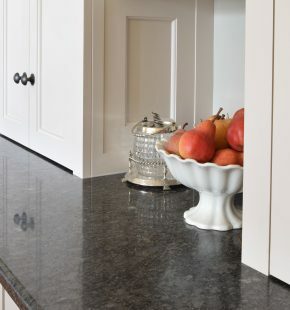 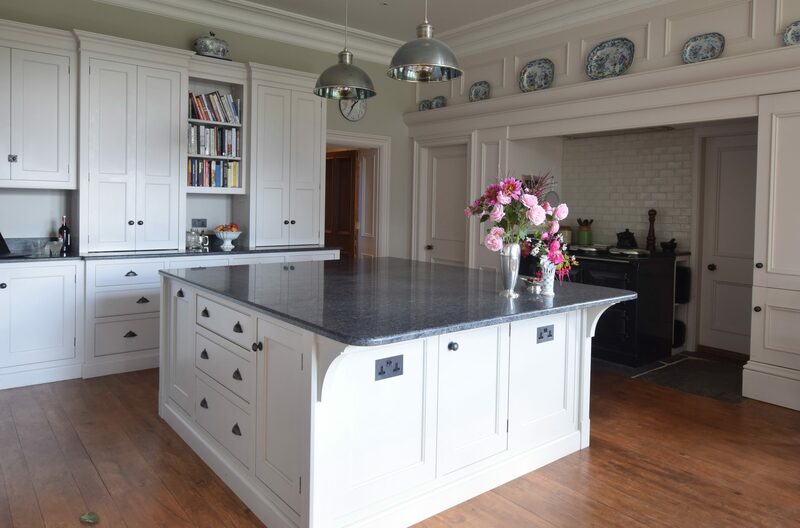 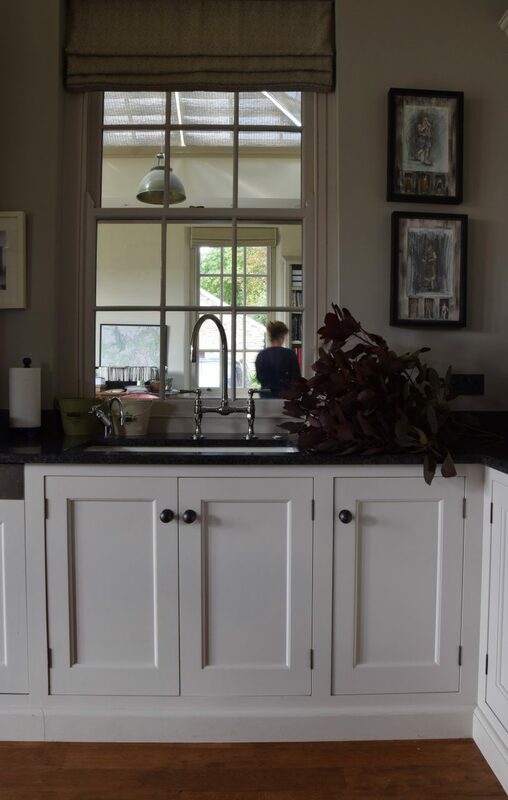 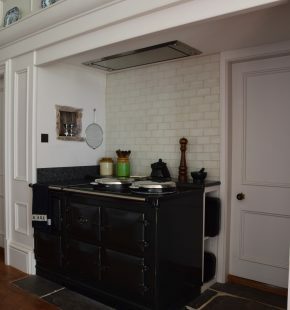 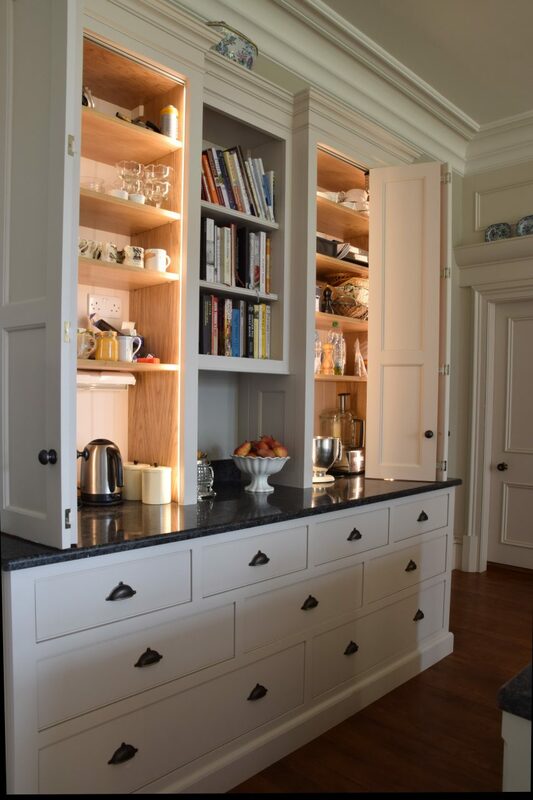 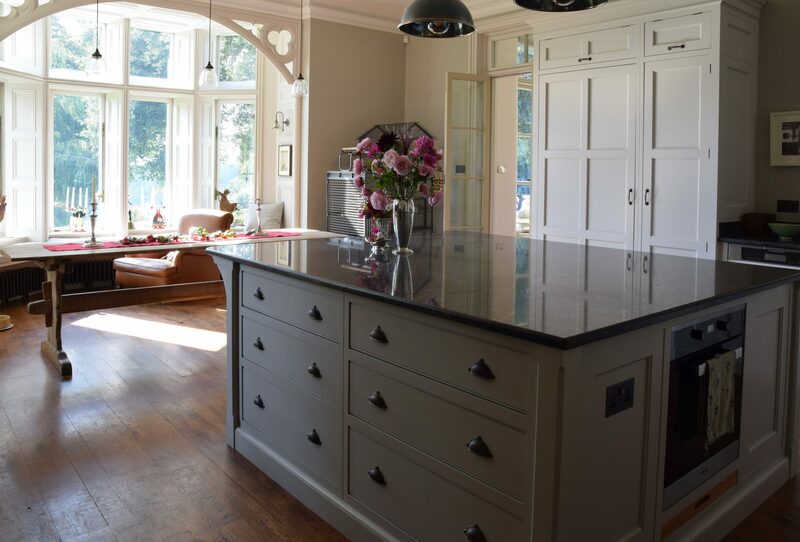 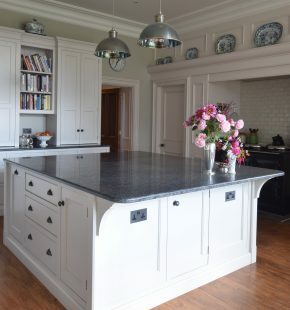 The island was painted in Little Greene slaked lime and the cabinetry in rolling fog. 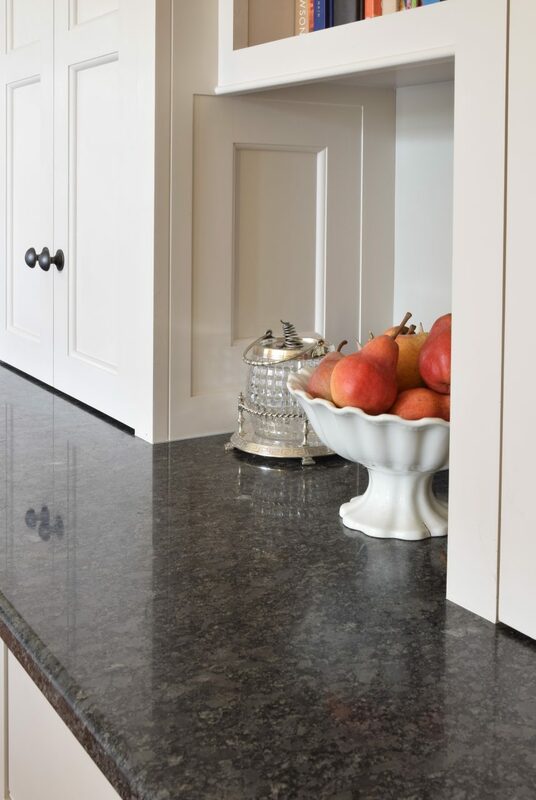 Worktops are black cosmic granite.